Every marketing company out there wants to be your “marketing partner,” but do they really know what that means? Do you know what it means? You read words like integrated, holistic, and synergistic, but do these words really help you determine the best fit for your needs? Do they tell you how they’ll solve your pain? 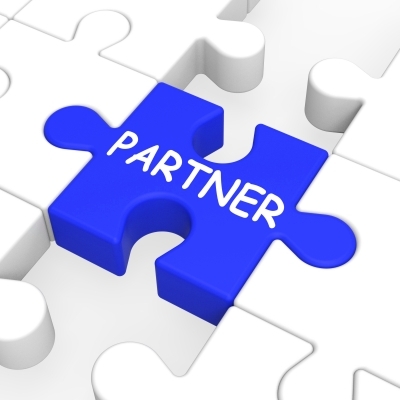 A great marketing partner is so much more than a tagline or collection of clever words. You deserve someone who will stand beside you and offer more than experience and knowledge. A true partner will collaborate with you to ensure the best possible outcome—for you, and not for the marketing company. To find this perfect partner, this checklist just might help. A true marketing partner leads the way with innovative ideas rather than following behind other trailblazers. You want someone who’s willing to work with you to develop fresh, original, groundbreaking ideas. This is also someone who sees the big picture but also delves into the nitty-gritty details. A thought leader isn’t afraid to get their hands dirty. This partner digs right in with you every day to help develop strategies, hone your current techniques, and push you to new creative heights. The best partner makes you an even better version of yourself. It’s a heartbreaking thought, but true nonetheless. With many marketing firms, you’ll be a client on a long list of other clients. You’ll be a paycheck and a responsibility. You won’t, however, be their priority. The perfect marketing partner will be your champion. You deserve someone who stays engaged at all times, who knows where you’ve been, where you are, and where you’re going. Your marketing partner should be your cheerleader and mentor, someone who knows your brand inside out and meets all your brand standards. Someone who cheers you on and backs you up also sounds like someone who’s behind you every step of the way. Believe it or not, you don’t want someone who’s behind you; you want someone who’s always beside you. The marketing partner who’s standing beside you knows your deadlines, your budget, and your challenges. They’re right there, ready to roll up their sleeves and help you get the job done. If your partner is behind you, they have to catch up before they can lend a hand, right? The best marketing partner is knowledgeable and unafraid to tell you when you’re moving down the wrong path. They also will be sure to share this advice in a collaborative way. The last thing you need is a know-it-all on the case. You shouldn’t have to wait for your marketing agency to come to you with suggestions, either. The best partners are approachable and willing to listen to your concerns and ideas. They’ll sit down and talk through the problems and solutions until you both agree on the right path. If their experience suggests you’re still on the wrong path, they’ll gently nudge until you’re walking side by side again. Doesn’t this sound like a true partnership? If you’re looking for a partner just like this, we’re here for you. With years of experience walking alongside small businesses and Fortune 500 companies, we know what true relationships look like. To see for yourself, just give us a call.